Is Fruit a Good Gift When Asking A Girl Out? I need some relationship advice. I met Kai in a class we were both in and we seem to have made a connection. Her birthday is coming up and I’d like to ask her to go on a date with me. I’d like to get her an appropriate gift to offer when I ask her out and to serve as a birthday gift. The problem is I need to find something appropriate that isn’t too personal or over the top, I don’t want to scare her off. Do you think a fruit bouquet is appropriate? It sounds like you’ve given this date request some serious thought and it is very sweet of you to consider offering Kai a gift when asking her out on a date. You are wise to avoid an overly personal gift as this could be a turn off to a girl not expecting it. Without knowing Kai’s personality or much about the relationship that you’ve already developed, we think a fruit bouquet would be a wonderful gift to give for her birthday / date request. Not only is a fruit bouquet beautiful, it is delicious and healthy and will most likely be a bit out of the ordinary for her to receive. We think it would make a great and lasting impression on her, creating a memory that she will not soon forget. If you’ve decided to give a fruit bouquet you will need to consider how much you want to spend, how big of a fruit bouquet you’ll want to give, where you’ll purchase the fruit bouquet and if you’ll be delivering it personally. You definitely want to make sure it’s a fresh bouquet so consider the timing of when it will be made, when you’ll pick it up and when you’ll deliver it. You might also do some investigating to make sure she’ll be home before you stop by. Read up on some more fruit bouquet purchasing tips for more help. We wish you the best and hope she says yes to the date! If you have a question that you think we might be able to help you with, please contact us. Administrative Professional’s Day, also known as Secretaries Day, is a day set aside to draw attention to the important work done by administrative support professionals, in all industries across the board. Many employers and supervisors take a few moments to show their appreciation for all of the work done by these professionals. During WWII, the United States saw an increase in the need for skilled administrative personnel and The National Secretaries Association was formed to emphasize the role of secretaries as well as other administrative assistants. The group’s aim was to attract more people to administrative careers. In 1981, the association’s name was changed to Professional Secretaries International and then in 1998, it changed to International Association of Administrative Professionals (IAAP). The name changes reflect the changing tasks and responsibilities of the members. IAAP continues to offer education and training to reach excellence in the business community. National Secretaries Week began in 1952 with Wednesday of the week designated as National Secretaries Day. In 2000, the IAAP renamed the events, Administrative Professionals Week and Administrative Professionals Day to align with changing job titles as well as increasing responsibilities. Administrative Professional’s Day is celebrated on the last Wednesday of the last full week of April in the United States. It lands on Wednesday, April 23, 2014 this year. Many organizations take this time to recognize the support staff with gifts. It is not uncommon to take administrative professionals out for lunch, allow them to leave early for the day, or give them flowers, candy or gift cards. The IAAP recommends that organizations offer training opportunities for the administrative assistants. Here at Edible Fruit we think any combination of those signs of gratitude would be much appreciated but we also recommend the gift of delicious and healthy fruit. A basket of fresh fruit, a bowl of berries or a deliciously beautiful edible arrangement would be a gift that could be shared at the office or at home with the family. The gift of fruit is not only delicious but it is healthy making it a good option even if your administrative professionals are following a weight loss plan or have dietary restrictions. There is still time to place an order or create your own gift for the administrative professionals in your life. Even a small gesture of appreciation can go a long way. Few Americans equate a bouquet of fruit to the love of their life. Yet, for some reason when it comes to gift ideas for Valentine’s Day, there seems to be an abundance of fruit basket gift ideas online. Perhaps, it has something to do with The National Retailer Federation’s report on the most popularized days to send floral arrangements, bouquets of fruit, and other online gift orders. Nonetheless, we compiled a few things NOT to do when sending a fruit bouquet. Edible Arrangement’s So Berry Loved 2014 completes the Valentine’s day gift for her or him. Sending the fruit basket to the wrong address. Whether one is sending a bouquet of fruit or flowers to several love interests, sending a Valentine’s Day gift to the wrong recipient poses several unwarranted outcomes. Primarily, fruit basket companies do not refund or attempt to re-fulfill inaccurate addresses. And for those juggling a variation of a lovers, a Valentine’s Day order can turn into exposure if the gift makes it to an unintended recipient. Valentines’s Day reigns among Mother’s Day, the Christmas holiday peak seasons for sending a bouquet of fruit, floral arrangement and other online gift orders. 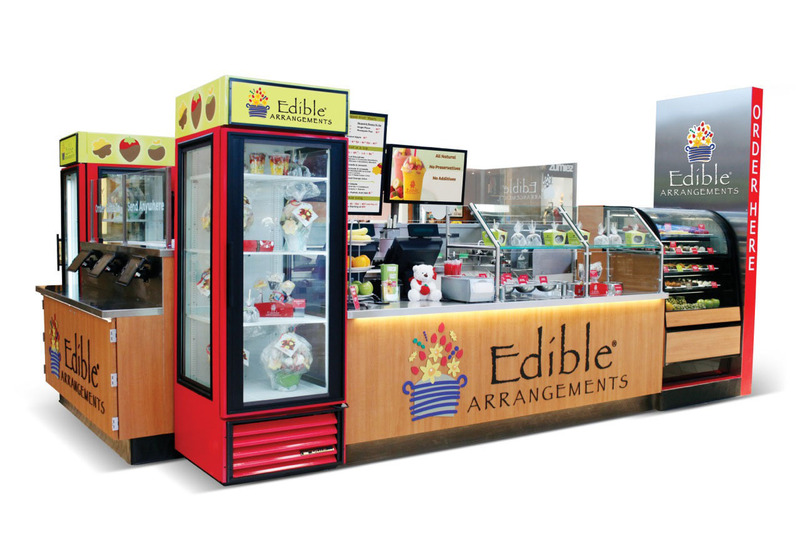 Last year when fruit bouquet leader, Edible Arrangements launched its rebranded Edible to Go trademark, the concept was to capture high traffic shopping areas. But, the concept of fast service kiosks and stores in densely populated shopping centers proves positive for growing consumer loyalty. And for customers, shopping for holiday gift baskets, there’s plenty of evidence that shopping at a fruit bouquet store is better than the online experience. Holiday fruit basket deliveries afford the ease of pointing and clicking, it’s all in the timing. As the holiday season officially commences on Novemer 28, this year, followed by Hanukkah and then Christmas, shipping a holiday gift basket necessitates a timed strategy. When’s the best time to order the holiday fruit basket delivery? It depends whether the gift is for a professional associate or a personal one. Holiday gift giving among colleagues and clients means placing an order any time after December 1st through the 16th to ensure that it reaches its destination before the office closes for the holiday. Sending a holiday fruit basket to a family or friend allows a little leeway especially if you plan to deliver the holiday gift basket in person. 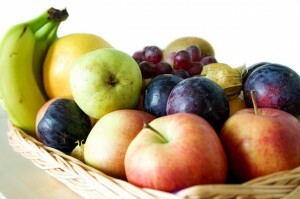 How to ensure fresh holiday fruit basket delivery? There are two types of holiday fruit baskets: carved and whole. With a carved fruit bouquet, the contents have been hand crafted to resemble flowers, cupcakes and other sweet treats. 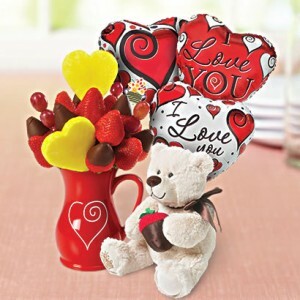 At fruit basket companies, Edible Arrangements and FruitFlowers.com carved fruit is the speciality. To assure for the freshest holiday gift basket delivery, place orders at these franchises within a five to 10-mile radius of the recipient’s address and at least 10 days prior to December 25. 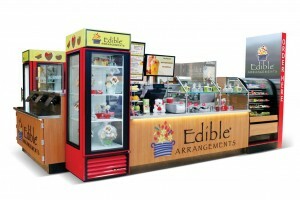 During the holiday season, all retailers including Edible Arrangements and FruitFlowers.com are inundated with holiday gift basket deliveries. To reduce the chances of sending a fruit bouquet past its prime, opt for holiday gift baskets containing heartier fruit such as pears, apples and clementine oranges. Harry and David, Cherry Moon Farms and The Fruit Bouquet Company feature holiday gift baskets with whole pieces of fruit. Beware of free holiday fruit basket deliveries. Generally, “free” accompanies numerous conditions. Using The Fruit Bouquet Company’s current holiday fruit basket delivery promotion as an example, free delivery refers to “ select holiday gifts.” Also note that free shipping is never overnight. So, allow at least five days during the peak season to ensure that the holiday gift arrives on time. Always conduct an address verification before finalizing the holiday fruit basket delivery. Most companies have a strict no-refund policy for inaccurate addresses.